Should I Apply for SBI PO & SBI Clerk Both? The notifications for SBI PO and SBI Clerk 2019 were released by the State Bank of India on 2nd and 11th of April respectively. SBI PO and SBI Clerk are the two most sought-after jobs in the banking sector as the State Bank of India provides one with a handsome salary along with a lot of perks and facilities that no other public sector banks provide. From job security to experience-based promotion, the bank provides you with a great number of benefits that include lesser working hours, medical facilities, housing facilities, loans, etc. That the two big notifications are out already, it has now become confusing for some of the aspirants if to apply for SBO PO or SBI Clerk. Students, if we look at the exam dates for the two recruitment processes, they fall in the month of June. While the dates for SBI PO Examination are mentioned clearly as 8th, 9th, 15th & 16th June 2019, the exact dates for SBI Clerk are still not out. This is one of the reasons why many students are in a predicament if they should apply for both the exams or not. Students, because the two exams will be conducted for the recruitment in the same banking organization, there is no chance that the dates for the two will fall on the same day. Also, the syllabi for the two exams are more or less the same. So, if you are planning to apply for both the exams, go ahead without having any qualms about it. How is SBI PO Preparation different from SBI Clerk Preparation? Students, we have already discussed before that the syllabi for the two exams are more or less the same. What differ the two examinations from each other are their difficulty levels. The pattern of SBI PO Exam, when compared to that of SBI Clerk's, is much more complex and convoluted. So, while preparing for the two exams, practice trickier and difficult questions for SBI PO and the easier ones for SBI Clerk. If you want to prepare for SBI PO and SBI Clerk in a way which gives you an edge over others, get Adda247 Video Courses which are prepared by experts in their respective fields. 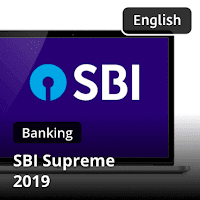 Latest Pattern SBI Supreme Video Course made by the top faculties of all the subjects provide you with special tricks and tips to crack SBI PO and Clerk Exams. Also, Adda247 has brought back Bank Supreme Offer for all the banking examinations. So students, do not wait in the wings and get your Supreme Video Course while the going is good.